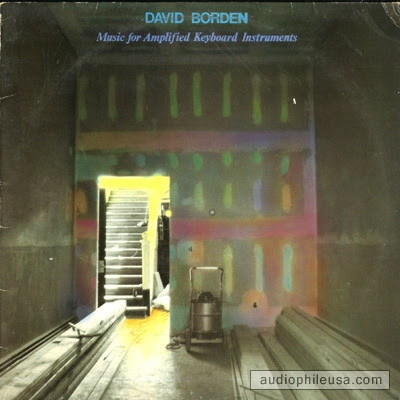 David Borden (b. December 25, 1938 in Boston, Massachusetts) is an American composer of minimalist music. 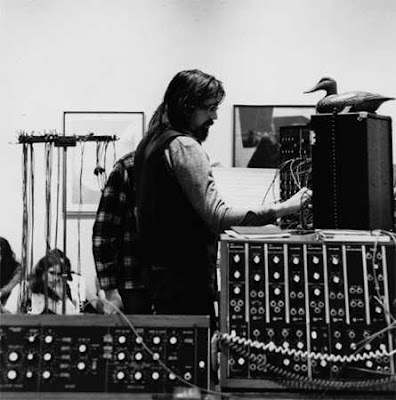 In 1969, with the support of Robert Moog, he founded what is considered to be the first synthesizer ensemble, Mother Mallard's Portable Masterpiece Company. In addition to his work with electronics and the Mother Mallard ensemble, David Borden has written music for various chamber and vocal ensembles. He is also an accomplished jazz pianist. Borden's compositions are heavily influenced by the repetitive minimalist style of Philip Glass, Steve Reich, and Terry Riley. Borden is also very interested in counterpoint, best demonstrated in his large scale series of works The Continuing Story of Counterpoint, Parts 1-12. Borden participated in the many activities surrounding the 30th anniversary of the founding of Mother Mallard's Portable Masterpiece Company in 1999, including several live performances and CD reissues on the Cuneiform record label. He is currently the Director of the Digital Music Program at Cornell University. Thanks to Dr Wommm for the sleeve link. In 1969 had allready Gershon Kingsley had his group at leat a year. So i don`t think David Borden was first to make a syntheziser group.